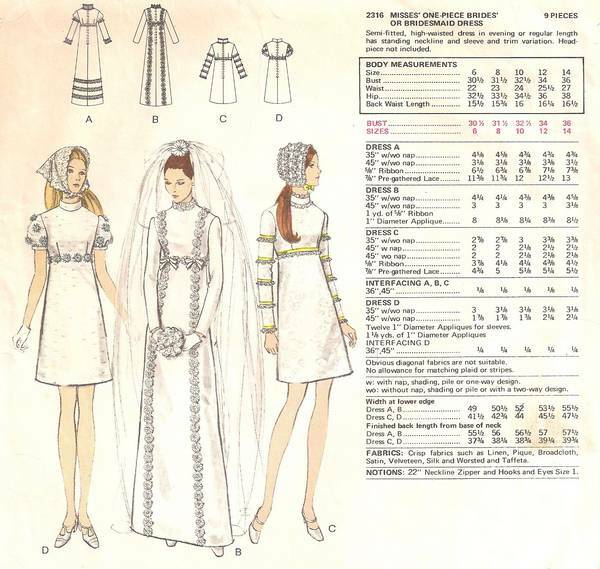 Vogue Special Design pattern for brides' or bridesmaid dress. Semi-fitted, high-waisted dress in evening or regular length has standing neckline and sleeve and trim variation. Headpieces not included.